It’s hard to sum up Tom Posedly’s achievements in a few words, as he has accomplished notable things in several areas, starting from his high-school days. “I was the oldest of seven children, the sole deaf in the whole family. My father was a first-aid worker in coal mines in Ohio and later worked as a trench-digging-machine operator for natural-gas lines all over in Tucson. My mother took me to nineteen doctors [before] I was finally labeled as deaf at age two. I [attended the] Alexander Graham Bell kindergarten, ages 3 to 5. The reports say I was good at socialization and fair on lipreading. [To this day] I don’t lipread or talk. I knew I couldn’t pronounce words, so why talk? “The summer after 10th grade I took Geometry at Tucson High School and got a B. After 11th grade, I transferred myself to the public Amphitheater High School. (I guess I was tired of ASDB.) I had a wonderful time there. I was Senior Class Treasurer, Key Club member, and [letterman]. Although I didn’t [score] many points, I was the first sub for any three positions on Amphi’s basketball team. I’m 5" 10" and my teammates were well above six feet. Back then, there were no support services. He located good note-takers and asked if he could look on. And he thrived. After graduating from Amphi, he received a scholarship from University of Arizona. A fine draftsman, he had the ability to make impromptu sketches, which he put to use in the popular “Quick Coloring” drafting workshops he later offered to architectural professionals and students. He set up his own architectural firm in 1971, and also offered drafting and rendering services. He joined the Tucson branch of the American Institute of Architects (AIA), handled numerous projects for large companies in Arizona, Hawaii, Guam, and Colorado, did design and consultation for several others, and networked with other deaf architects. U of A mounted the first retrospective of his work in 1973; NTID mounted a similar show 10 years later. He taught at U of A, too. He met Penny Hamilton in 1963, and they’ve been married nearly 46 years. It was “love at first sight,” and ASL that has kept them going. She learned from scratch, and became a certified interpreter. Tom helped found the Greater Tucson Advisory Council for the Deaf and its offshoot, the Community Outreach Program for the Deaf, which now offers services in two states. He also helped found the Arizona Commission for the Deaf and Hard of Hearing, a statewide information-and-referral agency. ACDHH”s Community View is the nation’s longest-running Deaf-community TV series. During a 10-year sojourn in Hawaii, he helped prevent the closure of the Hawaii School for the Deaf and the Blind. A talented ASL performer, he participated (for example) in three noteworthy ASL productions to raise funds for the Aloha State Association of the Deaf. 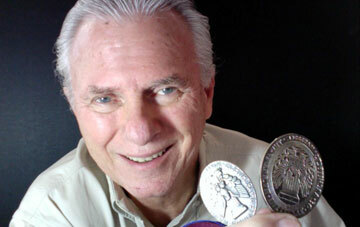 In 2007, he received the Arizona Architects medal from the state branch of the AIA. And in 2008, he was elected a Fellow of the AIA—one of the highest honors in the architectural field. Now semi-retired, he has a part-time architectural practice in Phoenix and runs the video laboratory for Phoenix College’s ITP. He chairs the Board of Directors of the Arizona Deaf Senior Citizens Coalition, a co-partner of the $17 million Apache ASL Trails project in Tempe—a 125-unit high-tech apartment community for retired Deaf, hard-of-hearing, and Deafblind people—the first of its kind. Construction’s underway.